Join us on May 17 at Corks & Curds for our annual Board Installation and Networking Event! 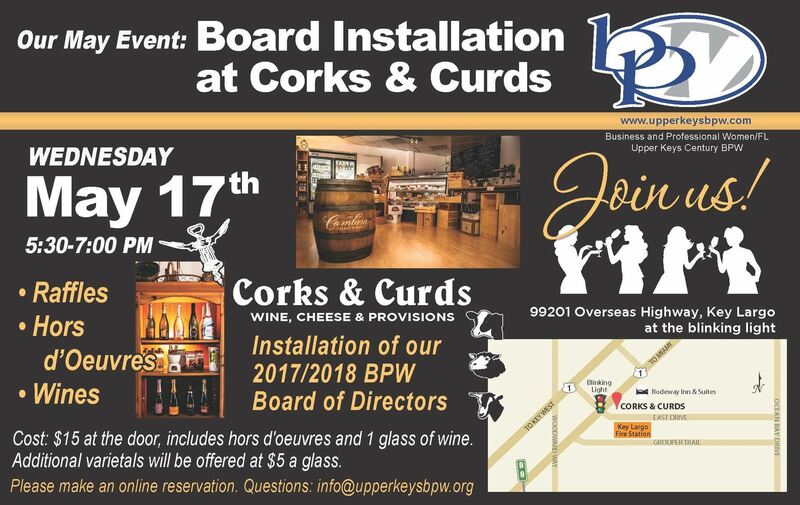 Join us at Corks & Curds for our Board Installation and Networking Event! Cost is $15, and includes hors d'oeuvres and one glass of wine. Additional varietals of wine will be offered at $5 per glass. We'll also have raffle items.